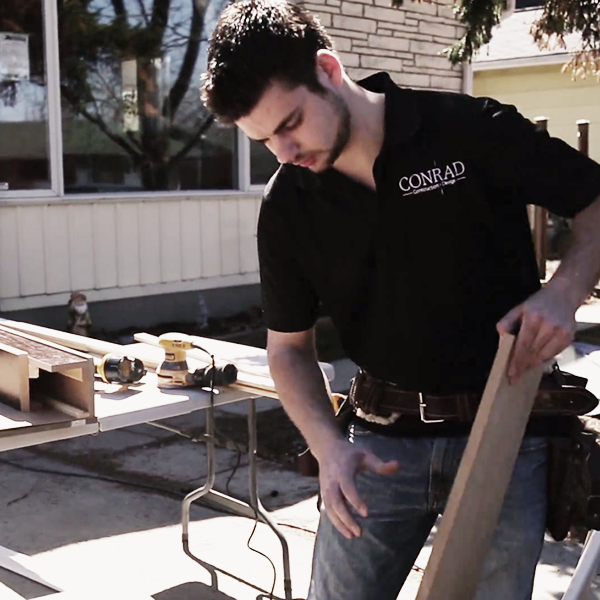 Conrad Construction and Design was founded in 2013. But don’t let our age fool you! We have a rich history and tradition of service with excellence in the trades and construction industry first starting in 1950 with Conrad Heating which faithfully served the Ottawa residents always remembered for quality and friendly service. Conrad is now a fully serviced construction and design company that specializes in home renovations for your beautiful custom design, commercial office fit ups and accessibility construction for the elderly and disabled. Your happiness is our measure of success! We are always there until the project is complete and your are completely satisfied! Chris Long is a fully licensed and insured carpenter. He specializes in accessibility remodeling and builds to meet Green Building standards to create energy efficient homes. Chris works closely with his family’s local wood furnishing business Simply Wood and with his brother’s fencing company, All Around Fencing. Jules is Conrad’s lead carpenter, His over 30 years of Constructions experience from residential to Commercial construction ensures quality control on the job. Geoff is A fully Licensed red Seal Carpenter, his training and knowledge brings new energy efficient building practices to the job site. Nick brings a lot of high end finishing experience to the job, From custom trim to cabinet installations, his craftsmanship leaves a lasting final impression. Mat has many years of framing Experience, from custom high end homes to commercial steel construction. His quick and effective practices make projects run smooth. Brady is our newest member, He graduated from Algonquin Colleges Cabinet making course and his finishing talents are often displayed.